Gov, Bruce Rauner addresses reporters in 2015. Commentary: Trying to impose his will rather than seeking compromise and calling counterparts corrupt got the one-term politician nowhere. Like an actor in a Greek drama or a Shakespearean character, Gov. Bruce Rauner will leave office as a tragic figure, felled by his overriding hubris -- excessive pride or self-confidence, arrogance -- that led to his political downfall. The private equity investor never seemed to grasp -- or was not willing to accept -- that he no longer was someone who could say "Jump" and his minions would respond "How high?" Instead, he was now the head of most of one of three co-equal branches of Illinois government, and thus needed to work cooperatively with the other two branches, especially his legislative peers, Senate President John Cullerton and House Speaker Michael Madigan. A savvier politician -- for that matter, anyone who knows how a bill becomes a law -- would have realized that any legislative initiative would need the help of the Democratic majority to become law. Nor can a governor enact a budget by executive order. Similarly, plain common sense would suggest that finding common ground with negotiating partners probably wouldn't be made easier by repeatedly calling them "corrupt," as he referred to Madigan almost nonstop for the past five years or more, in increasingly harsh terms as election day neared. At least he was an equal opportunity insulter -- Illinois Supreme Court justices also are part of a "corrupt system," he told a newspaper editorial board a few months after taking office. But one suspects Rauner may not have been seeking compromises, but rather intended to impose his will on lawmakers, especially with respect to his overarching goal- - hamstringing public employee unions, notably the detested "Af-scammy," as he derisively referred to AFSCME, the state's largest. Consider Exhibit A, the "Grand Bargain" then-Senate GOP leader Christine Radogno and Cullerton negotiated early last year. The compromise legislative package covered most of the items on the governor's wish list, his so-called "Turnaround Agenda," but did not embrace every detail of each of his proposals. Rather than accepting half a loaf, the governor pulled GOP senators off the deal, and so got not even crumbs. Similarly, Rauner vetoed the initial version of historic school funding reform, even though his education czar said he liked 90 percent of it. Rest assured that his predecessors would have jumped for joy had they ever managed to achieve anything close to 90 percent of their goals on controversial legislation. But then again Republican governors from Richard Ogilvie on were pragmatic—humble? -- enough to deal with the Democratic majorities they almost always faced, most often with Madigan in charge of the House. A prideful Rauner, though, ignored sage advice on making divided government work from former Gov. Jim Edgar and others, though, insisting on his way or the highway. Instead of seeking compromise, this governor seemed to pursue a divide-and-conquer strategy, for example assuming that the pain the record budget impasse would impose on the state's most vulnerable folks would force Democrats to surrender unconditionally and accept his terms. "Crisis creates leverage," he told one audience. Ultimately, shredding human services and undermining higher education did lead to a reckoning in July, 2017 -- but the 736-day stalemate ended when a handful of House Republicans split from the governor, including voting to override his vetoes, to enact a Democratic-crafted budget plan to end the impasse and to increase income tax rates to begin the recovery. The governor's bull-headedness -- he calls it persistence -- was further complicated by his mendacity. Some of his prevarication was harmless -- no, his maternal grandparents weren't 19th century Swedish immigrants, both were born in Wisconsin in the early 1900s, according to census records. One also could dismiss his claim of consistently proposing balanced budgets as typical political exaggeration, although Politifact's checkers gave him two "Pants on Fire" ratings for the claims on their "Truth-O-Meter." Other occasions had serious consequences. Early in 2015, Rauner and lawmakers were cobbling together a plan to close the $1.6 billion budget hole opened when the temporary income tax hike rolled back on January 1. The compromise included sweeping $1.3 billion into the state's checkbook account from other funds and trimming some $300 million from the FY 2015 budget. But funding for autism and other services for people with mental illness and developmental disabilities would be spared, Madigan told members on the House floor before a vote on the plan. Days later, Rauner suspended $26 million in human services and health care grants, including $1 million from the autism program, in what was dubbed the "Good Friday massacre." Misleading a legislative leader is never wise, obviously, and undercuts the trust needed for compromise. Arguably the governor's most damaging lie came last year as he was trying to shore up GOP support for keeping the impasse going until Democrats capitulated. 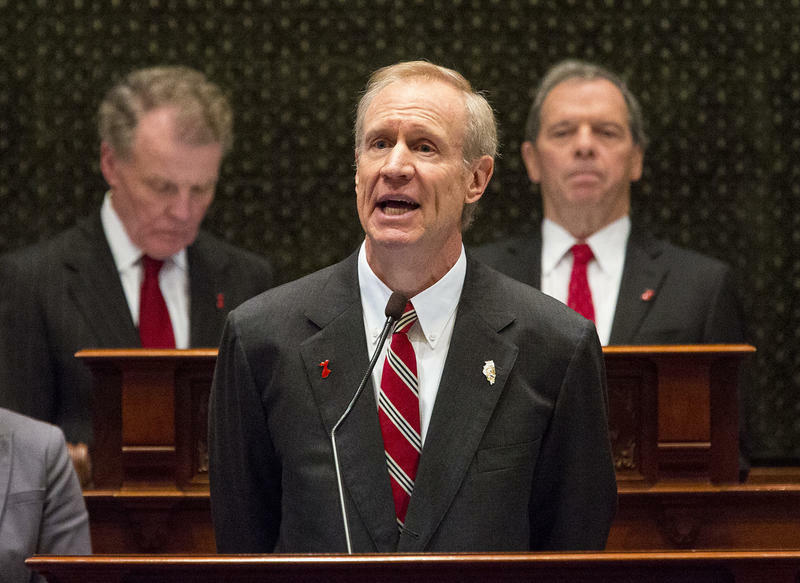 Rauner told a group of pro-life lawmakers that he would veto a measure providing state-funded abortions for women on Medicaid and those covered by state insurance. Doubling down, he later made the same pledge to Chicago Cardinal Blase Cupich, only to sign HB 40 a few months later. That about-face helped trigger the insurgent primary candidacy of Rep. Jeanne Ives of Wheaton, who came within 3 percentage points -- 22,000 votes -- of denying the GOP nomination to "Benedict Rauner." 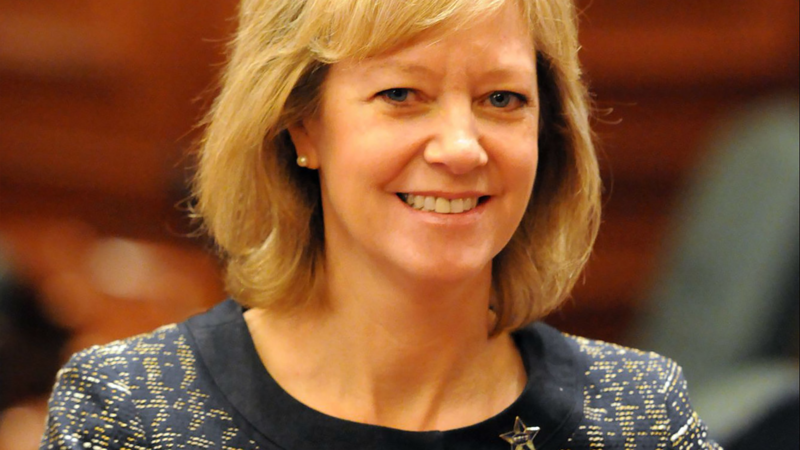 Rep. Jeanne Ives came within 3 percentage points of beating Gov. Bruce Rauner in the primary election. In another egregious falsehood -- and another "Pants on Fire" moment -- Rauner claimed Ives was a Madigan plant, backed by the speaker's "corrupt insider machine," although Madigan was among the 62 aye votes for the abortion bill Rauner signed, while Ives and 54 others voted no. Gov.-elect J.B. Pritzker gets inaugurated in January. As a candidate four years ago, Rauner promised to "shake up Springfield" and painted the Democratic incumbent, Pat Quinn, as a "failed governor." A slim majority of voters agreed, giving the Republican 50.3 percent of the vote over Quinn and Libertarian Chad Grimm, for a 142,000 plurality. But the victory was not an affirmation for Rauner's anti-union, pro-business policies as much as it was a rebuke to Quinn, with folks voting for Rauner because he wasn't Quinn. Arguably, had Rauner campaigned on the agenda he unveiled once in office, Quinn might not have looked like such a bad choice. And four years later, Gov.-elect J.B. Pritzker outpolled Quinn by more than 700,000, rolling to a 15-point, 54-to-39 percent, victory. Notably, the Democrat took the five collar counties 48-46 percent, reversing Rauner's 60-38 percent victory four years ago. Adding insult to injury-- or in a case of poetic justice, depending on one's perspective-- Madigan, Rauner's favorite rhetorical punching bag, the supposed architect of everything wrong about Illinois-- actually increased his House majority, despite a heartfelt plea from a Tribune editorial writer that Pritzker voters at least mark for GOP House candidates to rebuke Madigan. With a couple of districts awaiting the results of mail-in ballots counting, Democrats will have at least 73 House seats to the GOP's 45. Madigan won seven formerly-Republican seats, six of them in the suburbs, while losing one in deep southern Illinois, for a net gained of six. At 73, Democrats in the 101st General Assembly will have 62 percent of all House seats, the largest share for either party since 1964, when an at-large election resulted 118 Democrats, two-thirds of the then 177-member House. Senate Democrats also grew their current 37-member caucus by at least two, likely three, through victories in Republican-held suburban districts. In one of his final official acts, Rauner will preside over the swearing in of the new Senate on January 9, before Pritzker is inaugurated the following Monday, leaving political junkies to lament what might have been, but for hubris. Charles N. Wheeler III is director of the Public Affairs Reporting program at the University of Illinois Springfield. Illinois Issues: Reporting and analysis taking you beyond the daily news and providing a deeper understanding of our state. Some 36,000 state employees are members of AFSCME, Illinois' largest public employee union. Friday afternoon, the union announced that Gov. Bruce Rauner made a push to walk away from contract talks. The Illinois General Assembly rolled over Gov. Bruce Rauner in the first week of veto session, voting to override his vetos of more than three-dozen bills. But that's only half the game. When lawmakers return for week two of veto session, the House and Senate will swap bills to complete the override process — will the governor fare any better then? 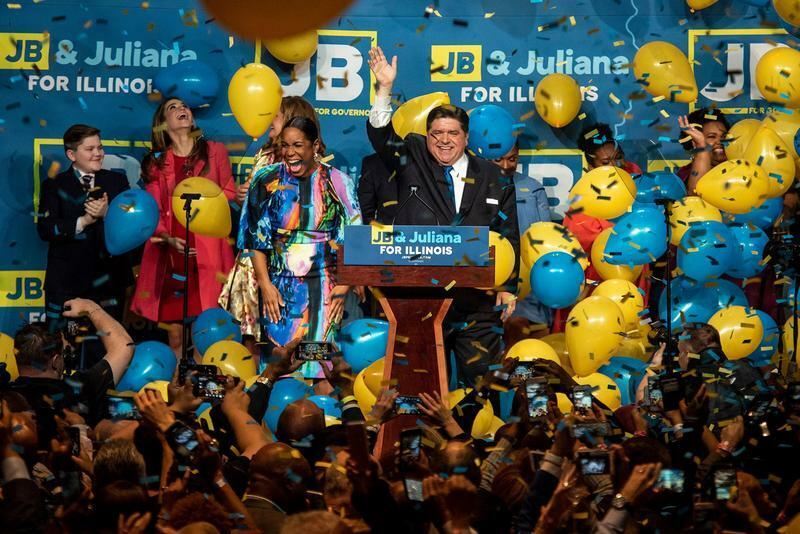 J.B. Pritzker and his fellow Democrats ran the table on statewide offices at this week's general election. The party also picked up two seats in Congress, increased its supermajority in the state Senate, and gained a supermajority in the Illinois House. Many of the Democratic gains were rooted in former Republican strongholds outside Chicago. Do the election results suggest a permanent realignment? Or is it unique to the circumstances of 2018? Billionaire J.B. Pritzker’s big investment paid off. The Illinois Democrat soundly defeated incumbent Republican Gov. Bruce Rauner Tuesday night. It’s thought to be the most expensive governor's race in American history. And Pritzker's win gives Democrats complete control of Illinois government. Commentary: The governor's plan would rely on some iffy savings from shifting pensions costs to schools and universities and getting state workers to pay more for their health care.